Crude prices started the week with a fall on Monday, as a supply overhang continues to put downward pressure on oil prices. OPEC members have continued to pump crude at a high pace despite the glut in a bid to retain the market share. Brent, the global oil benchmark, fell 1% to $49.90 a barrel on London’s ICE Futures exchange. On the New York Mercantile Exchange, West Texas Intermediate futures were trading down 1% at $46.78 a barrel. Brent is currently rooted at $50 a barrel, down around 60 percent from summer 2014. Most production is therefore operating at a significant loss. OPEC, led by Saudi Arabia, pumping about a third of the world’s oil supply, has allowed prices to fall in a move to keep market share. The Cartel of major oil producing countries has U.S. shale oil companies in its sights, which it believes pose a threat to the OPEC’s dominance in global crude market. 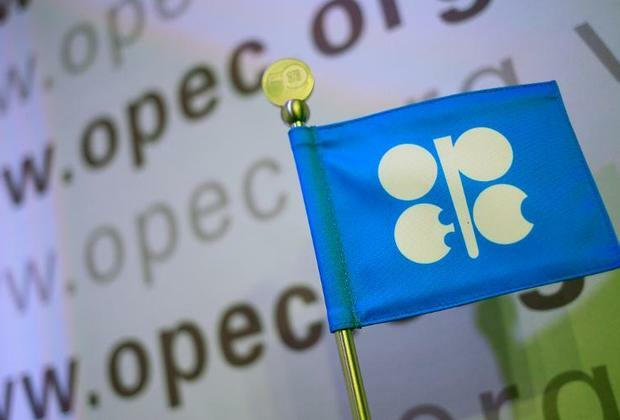 Therefore, analysts don’t expect much from the technical meeting between OPEC and non-OPEC nations later this week. The OPEC members will meet in Vienna on October 21 along with outside producers like Russia, Azerbaijan and Mexico. Anne Korin, co-director of the Institute for the Analysis of Global Security (IAGS) and a senior adviser to the United States Energy Security Council, believes that given Saudi Arabia's significant currency reserves, it has breathing room to withstand the current price level. “The Saudis, given their disillusionment with the Obama administration's approach toward Iran, have motivation to at this time to keep production steady and thus prices moderate, and in this way exert economic pressure on Iran,” she wrote in an e-mail to AzerNews. Korin recalled that the current prices also put pressure on the U.S. shale industry, which is not a bad result from the Saudi perspective. With its shale revolution in 2008, the U.S. has increased oil production tremendously, almost doubling its output in the last 7 years, and contributing to the glut of oil supply in the global market. However, output in the U.S. has continued to slow for past six months. After it peaked in April at 9.6 million barrels a day, U.S. crude oil production has since fallen below 9.1 million barrels a day. While all energy-producing countries seek higher oil prices to continue economic growth and to rid themselves of the pain caused by the prolonged slump in oil prices, Anne believes the big question here is whether Iran – given that it does view the Saudi decision to maintain current production levels as economic warfare – will take aggressive countermeasures. “Namely, will it work through proxies to target infrastructure in order to physically remove supply from the market and drive prices higher,” she wrote. Although Iranian sanctions will probably only start to be lifted by the spring of 2016, for crude prices, Iran’s ability to bring a flood of crude back could be another blow to the possibility for a price rebound. Iran had the second-biggest output in OPEC before U.S.-led sanctions banning the purchase, transport, and finance and insuring of its crude were imposed in July 2012. Oil producers such as BP Plc and Royal Dutch Shell Plc have expressed interest in developing the country’s reserves, the world’s fourth-biggest, once sanctions are removed.